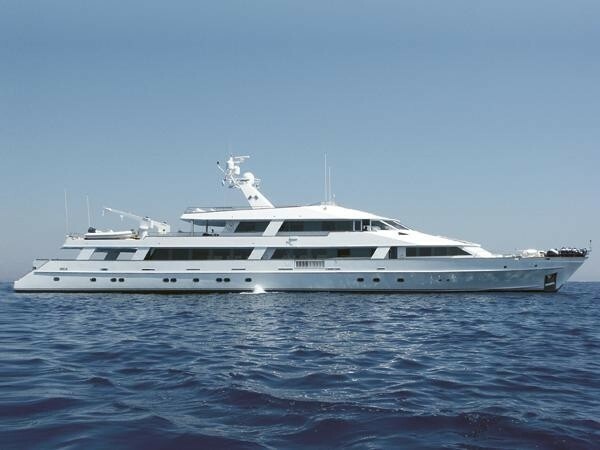 Luxury Motor yacht El Chris built in 1960 by the renowned shipyard Lurssen Werft known for its cutting edge design and high technology is a true classic masterpiece. 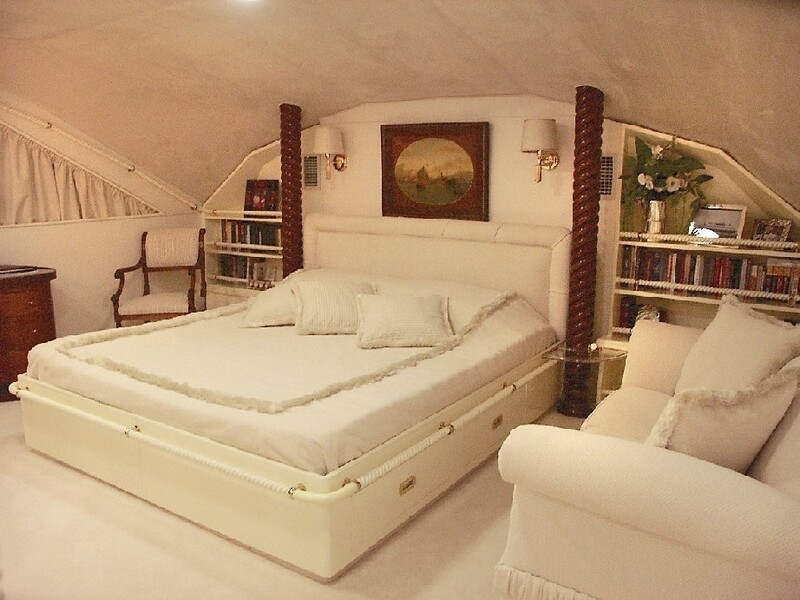 She was refitted in 2005 and is one of the few yachts that can accommodate up to 14 guests in 7 staterooms. ‘EL Chris’ has a huge main salon which has been carefully designed with attention given to detail, premium quality and a timeless design. 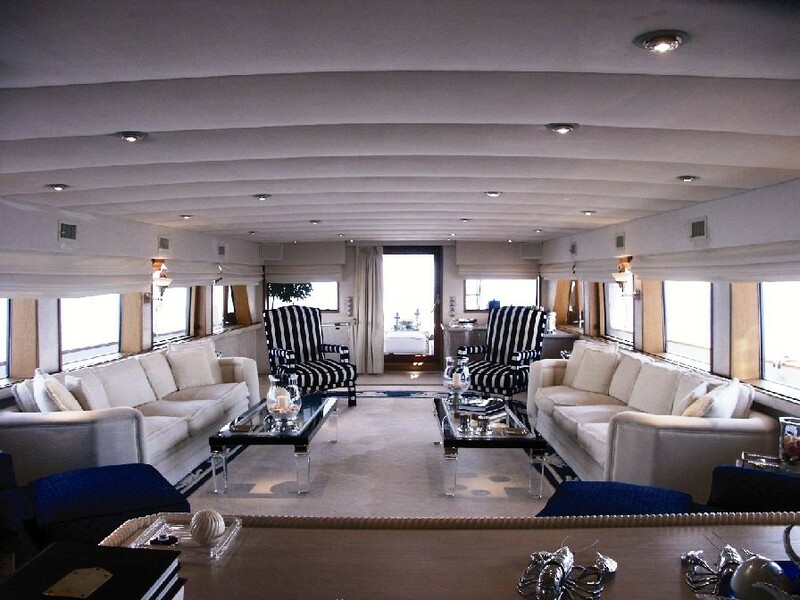 This is the perfect location for entertaining guests, watching the latest DVD’s or listening to your favorite music. The attached dining area offers a true setting for gourmet meals. 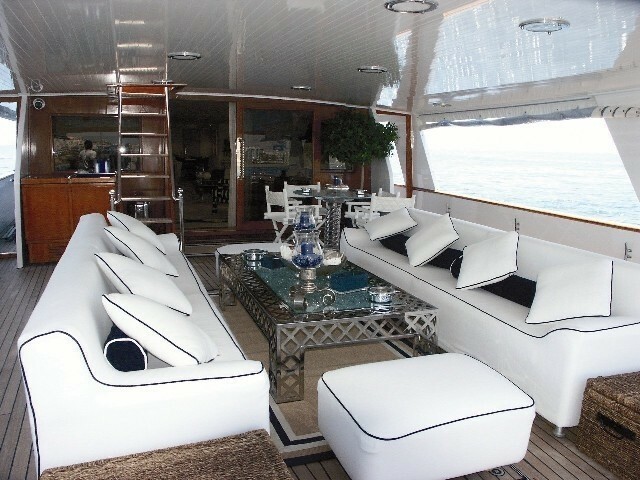 The secondary saloon located on the upper deck is a great spot to wind down with a drink or a game of chess. 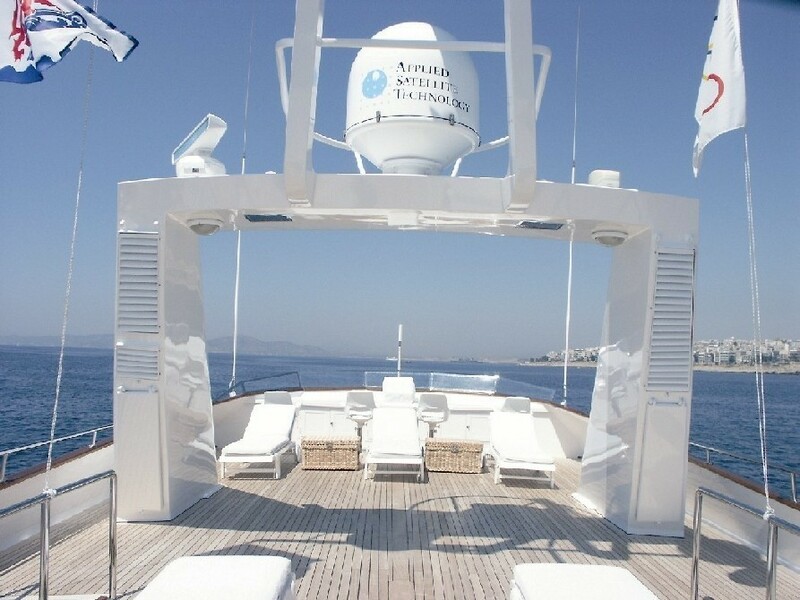 The deck areas of El Chris have all been carefully designed to provide comfort and ease for use throughout the day and night. 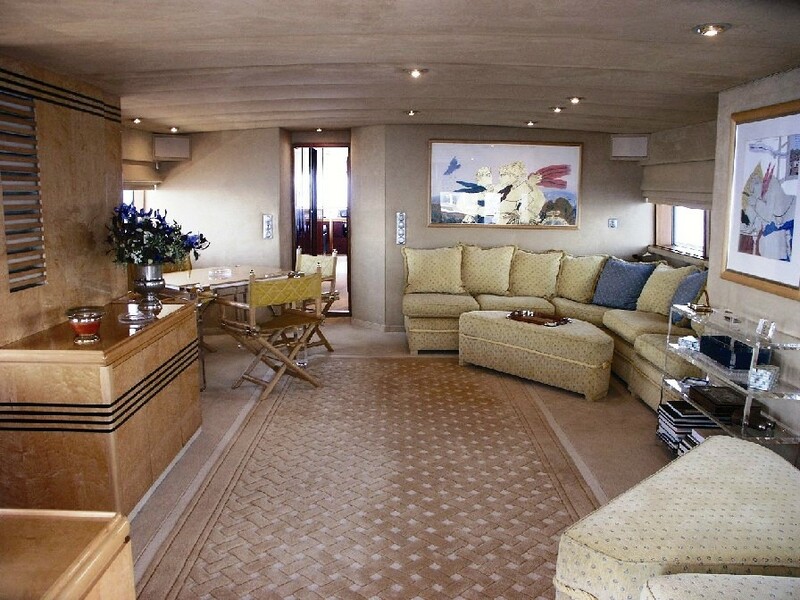 The aft main deck area has two large sofas, ideal for an evening drink. 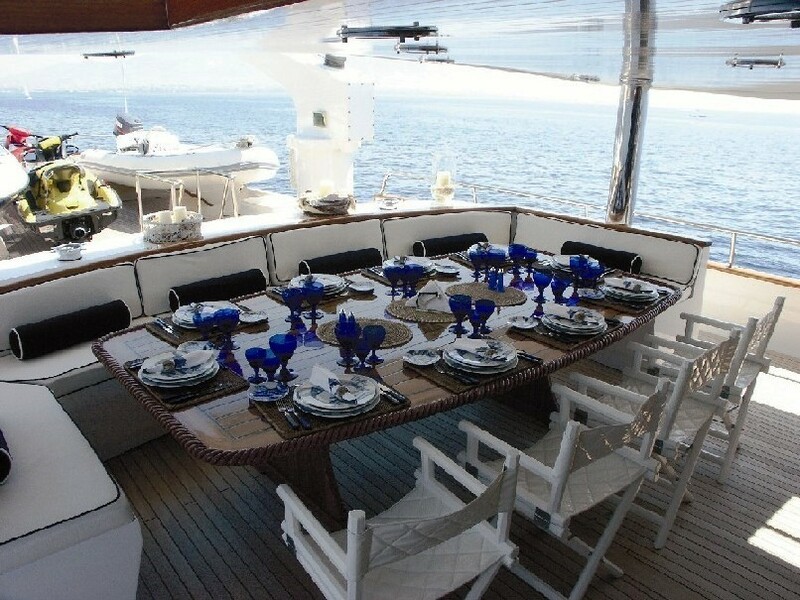 The upper deck offers the perfect spot for serving breakfast or lunch without sacrificing the sea view. The sundeck offers ample space for sunlovers to enjoy sunbathing in the lounge chairs. For a more secluded sunbathe, one can laze on the large cushions on the bow. 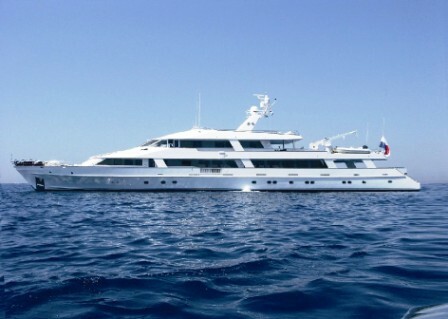 There are not too many yachts able to charter with up to 14 guests, especially without the use of Pullman berths. 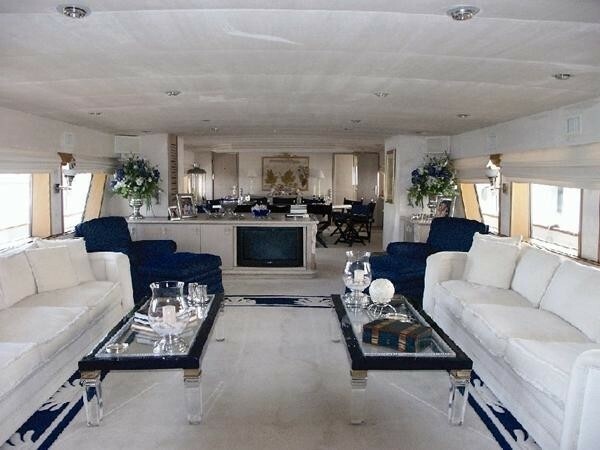 This yacht is ideal, offering all the comfort and space to please large groups. 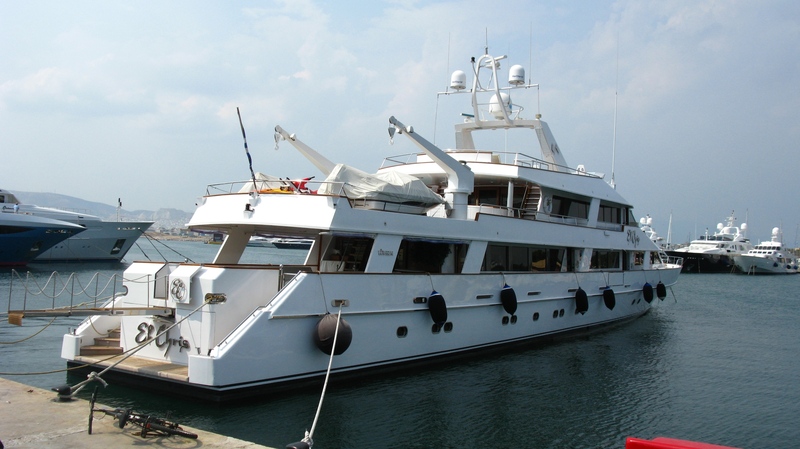 Luxury Motor yacht El Chris can accommodate up to 14 guests in 7 staterooms. 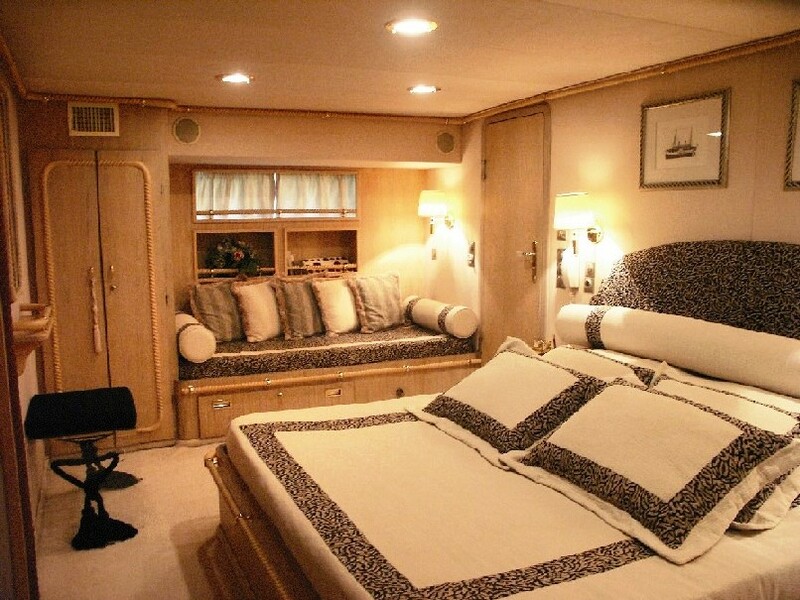 The full beam master cabin is located on the main deck and has a king size bed, a sofa, desk as well as a his & hers bathroom. 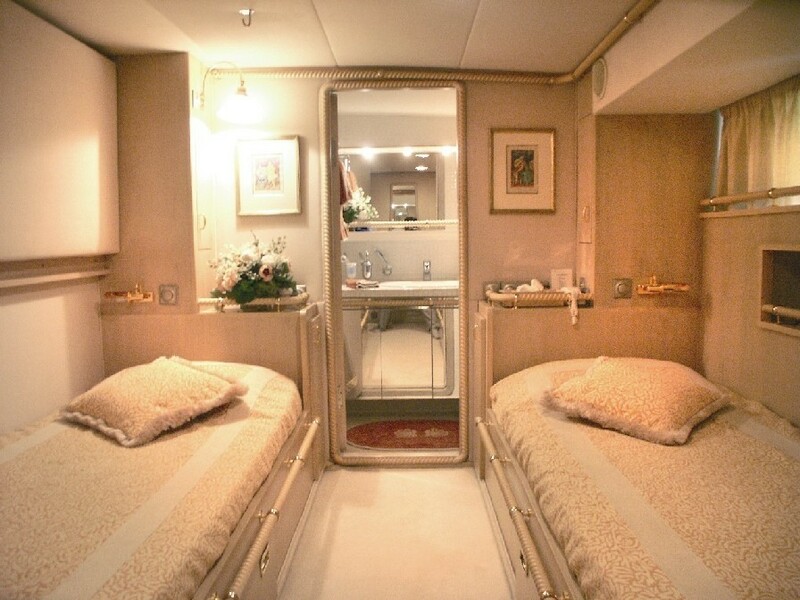 The VIP cabin which is located on the lower deck is also full width of the beam and has a sofa bed and his & hers bathroom. 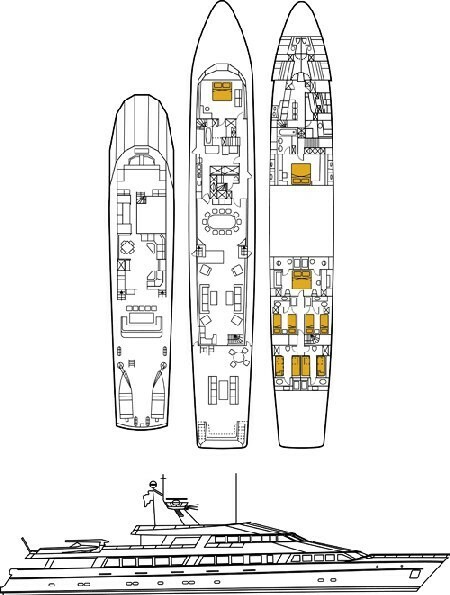 Also on the lower deck is a full beam double cabin and four twin cabins all with ensuite facilities. 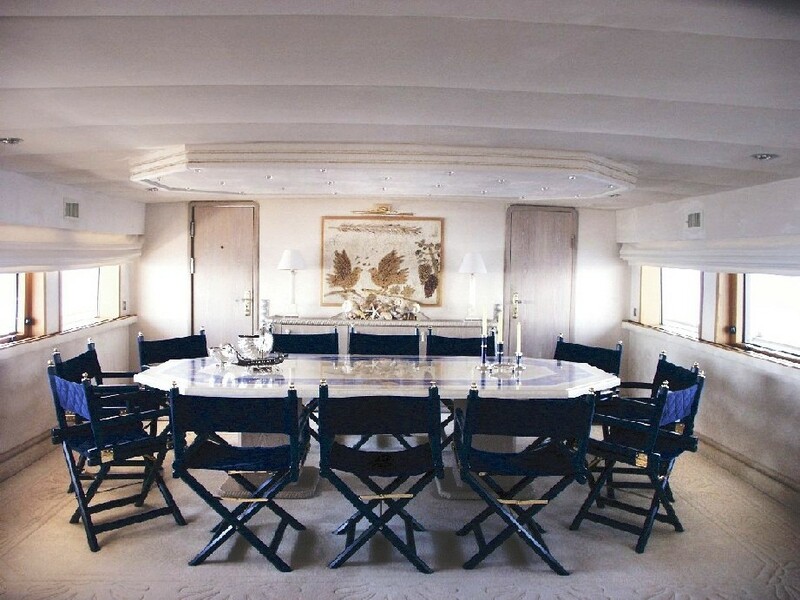 All cabins & saloons have audio/visual entertainment. 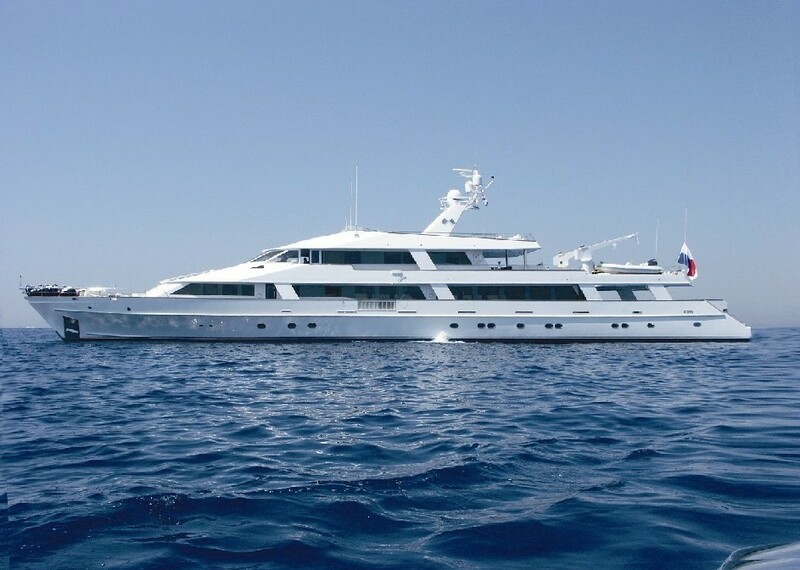 Luxury Greece charter yacht Greece ‘El Chris’ boasts the following tenders and toys: Bayliner GRP , motor cruiser 1600cf with Yamaha F100 AET 4-stroke, Zodiac 4.20m with Yamha 40 4-stroke, Seadoo Jet Ski XP Limited, Seadoo Jet Ski GSX, Water skis, Tubes, Canoe, Wakeboard, Kneeboard, Fishing & Snorkeling equipment. 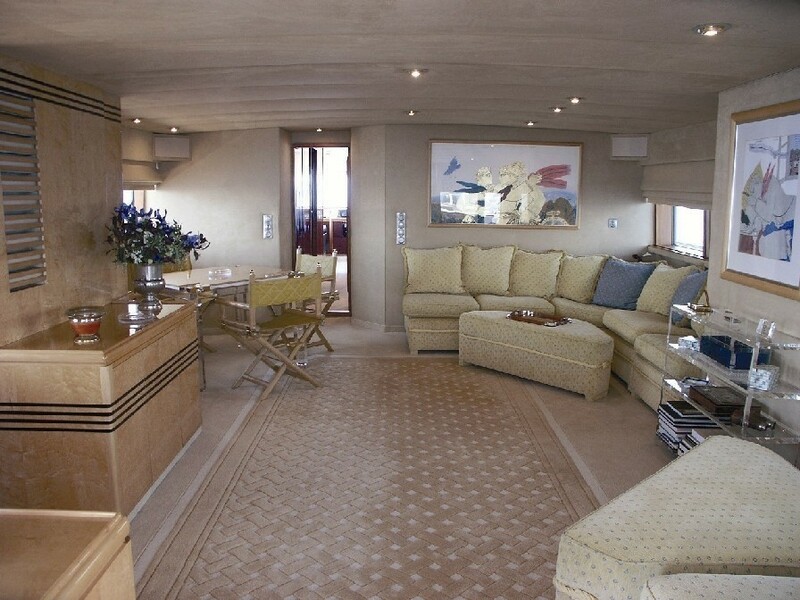 The yacht also has Audio/visual entertainment in all cabins and salons, a Sat TV, Internet, Cellular Fax & Tel.